You can get a printed copy by post by making a $5 tax deductible donation. Please help us make this guidebook available for free to all Australian doctors, medical centres and hospitals by making a donation. 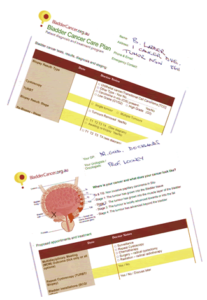 Our Bladder Cancer Care Plan document has been created for medical professionals and patients dealing with bladder cancer.